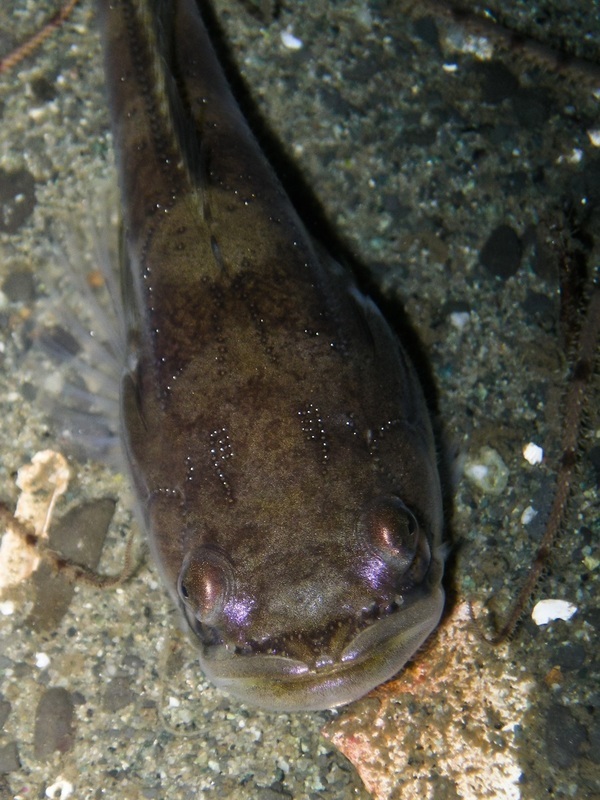 The only member of its family, the Toadfishes, found in the Pacific Northwest, this distinctive fish has a large mouth and bulging eyes on a large head, with a tapered body.. The midshipman is an iridescent purplish-brown, olive-brown, or bronze with rows of silver spots dotting its sides; these spots are luminous organs. This unique-looking fish gets to 37.5 cm long. Night-time divers are most likely to see the midshipman, as it spends the daytime buried in sand or mud or hiding under rocks, and usually only emerges at night to lurk near the sea floor at depths of up to 360 m. Beachcombers might find the male hiding under intertidal rocks at low tide as it guards its yellow or orange eggs in late spring and summer. The Central Coast is at the northern extend of the midshipman's range, which extends from central BC to northern Mexico. The midshipman makes a loud humming sound during the breeding season. 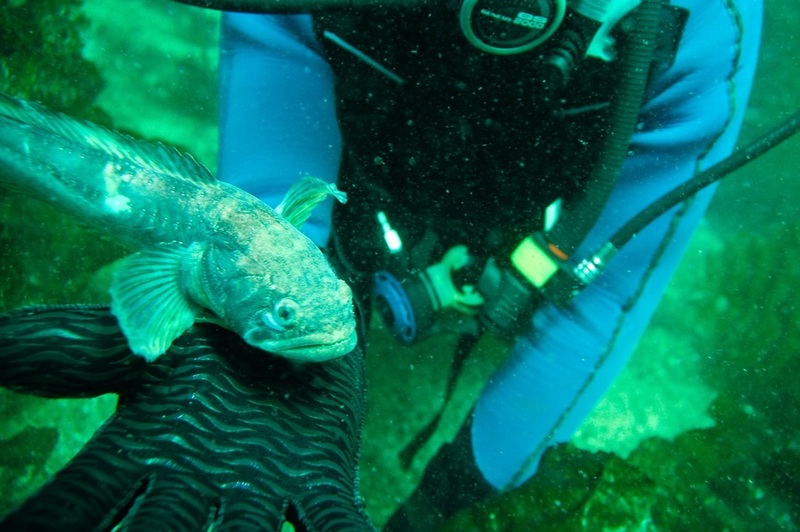 It can breathe air when out of water, and has a slightly venemous spine projecting from each gill cover. The midshipman is not targeted by any commercial fisheries, but large numbers of the species end up as bycatch from commerical shrimp trawlers. Froese, R. and Reyes, R.B. Porichthys notatus Girard, 1854 Plainfin midshipman. FishBase. Accessed 22/12/2014. Harbo, R. M. (1999). Whelks to whales: Coastal marine life of the Pacific Northwest. Madeira Park, BC: Harbour Publishing. P. 228. Lamb, A. and Edgell, P. Coastal Fishes of the Pacific Northwest. Revised. (2010). Madeira Park, BC: Harbour Publishing. Pp. 252-253.